The process of cooking raw milk makes it less digestible. It promotes constipation, sinus congestion and digestive disorders. That’s because heat destroys the lactase enzymes, present in raw milk, which help digest lactose. If you destroy the lactase enzymes, you can’t properly digest the lactose. Symptoms of this can get you labeled “lactose intolerant” when, in reality, you’re just drinking cooked milk that’s been nutritionally destroyed. The idea that government tries to protect the people is hogwash. The entire argument against raw milk is nothing more than a monopolistic power grab by the conventional dairy industry. “Big dairy” is the force that’s actually behind the criminalization of raw milk. It’s no different than the AMA trying to destroy alternative medicine… or Big Pharma trying to discredit holistic herbal therapies. It’s always about a monopoly, and right now there’s a huge monopoly in the dairy industry. Sterile food is not necessarily healthy food! Killing everything in the food may minimize the risk of some bacteria, but it also kills the very things that make food nutritious. But since nearly all the popular food sold across America is already dead, I suppose people don’t even recognize real food when they see it anymore. Real food isn’t pasteurized, and it’s not risk-free. Yogurt – is Whey Worth Taking Another Look! These days – we have more options for yogurts than we probably care to decipher. And most of us agree that yogurt is “good” for you. We eat it out of little plastic cups and think we are doing fine. But do you know that it can tenderize your grass-fed beef or that you can make “yogurt cheese”? And that all yogurts are NOT created equal. Yogurt is an ancient food that has been produced for at least 4,000 years. It is a cultured milk product, made by adding certain “good” bacteria to milk, skim milk, and/or cream. On average in the U.S., we eat about five pounds of yogurt per person. Europeans – eat twice that amount. It is a form of milk product that is highly digestible, with calcium and its active bacterial cultures its added benefit to us humans. Fahrenheit, and the yogurt bacteria are added. The mixture is kept lukewarm for a number of hours, then chilled, allowing time for the bacteria to grow until the mixture becomes “pudding like”. ingredient that makes yogurt the “health food” that it is. Don’t be confused by a label that says “made with active cultures.” All yogurts are made this way, but only the brands that are not heat-treated after fermentation retain their living cultures. Said by some to cure everything from arthritis and ulcers to digestive problems and yeast infections, yogurt may, indeed, improve our immune system defenses, helping to reduce the risk of colon and breast cancer. As its specific heath claims are being tossed around, it is a fact that yogurt is a good source of calcium, rich in protein (8 g per cup) and contains as much potassium as a banana, as well as riboflavin (vitamin B²), phosphorus, and magnesium. There are a few good organic yogurts out there though – so if you don’t want to play with bacteria cultures and make your own, just be sure to buy a good yogurt – no fillers and with cultures that are still active. The fancy ones look attractive – but are usually so “fooled” with that it does not retain the ancient goodness that you want. Adding your own fruit and flavorings (and sweeteners if you must) to a whole milk organic yogurt is the most nutritious way to go. I have discovered that cooking with yogurt is much more diverse than you can imagine. From mousses to marinades to yogurt cheese and beyond. Heat 2 cups organic, whole milk, non-homogenized until 1 Demerara Sugar Cube dissolves. This post is sharing some internet research …. Here’s a bit more on yogurt – try it! Legends say that yogurt has been produced for at least 4,000 years. It is a cultured milk product, made by adding certain “good” bacteria to milk, skim milk, and/or cream. Contains active yogurt cultures means that the bacterial cultures are still present in the yogurt because it has not been heat-treated. Look further to make sure that they have not been stabilized with starch or gelatin. U.S. Government regulations require a minimum of two cultures, but some yogurts have as many as five distinct cultures. Heat-treated yogurt means that the yogurt has been heated to kill the bacterial cultures, thereby extending the shelf-life of the product. Whole milk yogurt must contain 3.25% to 4% butterfat, the same as whole milk. Low fat yogurt contains the same amount of butterfat as the low fat milks from which they are made-can be between 0.5% to 2% butterfat. Nonfat yogurt or fat-free yogurt must contain less than 0.5% butterfat. If the label also says “lite” or “light,” it may indicate that the yogurt has been sweetened with aspartame rather than a natural sweetener. Made with active cultures means that the yogurt was probably heat-treated, thereby killing the active cultures that produced it. “Certified organic” yogurt has been made from milk produced by cows raised under strict organic standards, including an organic diet, no routine treatments with antibiotics or growth hormones, and a healthy growth environment. Sundae-style yogurt has fruit at the bottom of the container, topped with plain or flavored yogurt. Blended yogurt, also called Swiss pudding or custard style yogurt contains pureed fruit or other flavoring ingredients, and a starch or gelatin to give the mixture body. Other ingredients sometimes added to yogurt include other dairy products, such as nonfat dry milk solids; sweeteners such as sugar, honey, and aspartame; colorings; and stabilizers such as starch, gelatin, or pectin. Although in the 1970s few Americans had ever tasted yogurt, today the average US. consumers eat about five pounds of yogurt per person in a given year-Europeans eat twice that amount. Said by some to cure everything from arthritis and ulcers to digestive problems and yeast infections, yogurt may, indeed, improve our immune system defenses, thereby helping to reduce the risk of colon and breast cancer. As its specific heath claims are being debated, it is a fact that yogurt is a good source of calcium (plain yogurt has 400 mg per cup-more than a cup of skim milk). Yogurt is also rich in protein (8 g per cup) and contains as much potassium as a banana, as well as riboflavin (vitamin B²), phosphorus, and magnesium. 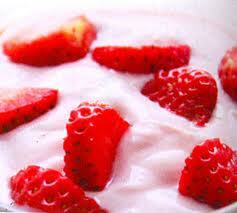 Persians used yogurt to insure clear skin and sparkling eyes. It was also used as a soothing ointment for sunburn. When I worked with the internationally famous health food expert Gayelord Hauser, he recommended mixing yogurt and strawberries in a blender to use as a cosmetic mask. Yogurt facials have a bleaching action, good for toning down freckles. The logic can be explained by the high protein, calcium, and acid content of yogurt as being very beneficial to the skin. When cooking with yogurt, we like the sweeter flavor of plain low fat yogurt as most nonfat yogurts have a thin, slightly sour taste. Draining off the whey of nonfat yogurt improves its flavor, but it still can’t make as memorable a dish as a low fat yogurt. As with other high-protein, high-acid foods, spare the heat. Use low cooking temperatures and short heating periods for best results. Whenever possible, add the yogurt at the end of the cooking period, just in time to let the yogurt mixture come up to serving temperature. If the yogurt is added at the start of the cooking period, you can avoid separation or curdling by stirring a stabilizing mixture of flour or cornstarch blended with a little water into the yogurt. To keep a thick consistency, it helps to not stir yogurt into other ingredients-instead, fold the yogurt into the mixture. When substituting buttermilk with yogurt, thin the yogurt with a little water or milk to the right consistency. When using yogurt for baking, add 1/2 teaspoon (2.5 ml) baking soda for each cup of yogurt used. Use plain low fat yogurt as a substitute for sour cream; you’ll save 280 calories per cup. Yogurt can also be used as a partial substitute for mayonnaise (use 50% yogurt, 50% mayonnaise). Yogurt becomes sharper with age. Stored at a refrigerator temperature of 35°F to 45°F, yogurt will keep fresh for up to two weeks. The fresher when used, the better the flavor and consistency. Making yogurt cheese is a good way to use up aged yogurt. Not really a true cheese, yogurt cheese is merely thickened yogurt with the whey drained away. It’s a staple in our refrigerators since it makes a wonderful substitute for fresh cheeses, such as cream cheese. Yogurt cheese is used throughout the Mediterranean as a spread for breakfast breads. When you add minced fresh herbs, you get a great low-fat substitute for French Boursin cheese. You can buy a yogurt cheese drainer at a specialty cookware shop, or we find that a coffee filter or a double thickness of cheesecloth inside a fine sieve works just as well. You’ll want to experiment with different brands of yogurt until you find one that pleases you. Be sure that the yogurt you use does not contain any added gelatin or other thickener. 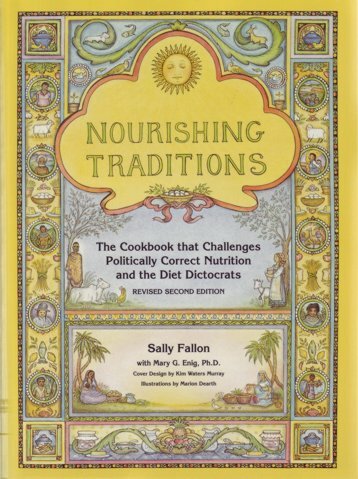 The following recipe is reprinted from our cookbooks: The Joslin Diabetes Gourmet Cookbook (Bantam Books) and The Joslin Diabetes Quick and Easy Cookbook (Fireside: Simon & Schuster). There arc certain simple rules to follow when cooking with yogurt. Following them should ensure a nutritious and appetizing result. 1. The fresher the yogurt the better the result. 2. Never add cold yogurt to a hot mixture as it will separate into curds and whey. To prevent separation. before whisking into a hot (but not boiling) mixture, either bring yogurt to room temperature or mix yogurt with cornstarch (1/3 cup yogurt blended with 1 teaspoon cornstarch which has been dissolved in 1 tablespoon cold water). 3. Never boil a mixture to which yogurt has been added as the high heat will cause separation and kill the beneficial bacteria in the yogurt. 4. The more incense the heat, the less intense the healthy bacteria count. For example, baking kills all bacteria. Therefore, when possible, it is best to add the yogurt near the end of the cooking process. 5. Yogurt incorporates best when gently folded or whisked into mixtures. 6. If, after the addition of yogurt, your mixture is too thin. allow t to chill for at least an hour and it will, generally, thicken. 7. Whole milk, Iow-fat, and nonfat yogurt can be used interchangeably but the consistency and/or texture will vary, with whole milk being the thickest and most moist. Yogurt cheese has a greater portion of the nutrients in yogurt, because the whey has been removed, resulting in a higher concentration of calcium per volume than other dairy products. It is low in calories, sodium, cholesterol, and lactose and has a wonderful smooth texture with a flavor somewhere between cream cheese and sour cream. 2. Place yogurt in a draining device over a bowl, cover with plastic wrap or a lid and refrigerate for at least 8 hours or overnight. A large quantity of whey is released in the first 2 hours of draining, but at least 8 hours (or ideally 18 to 24 hours) is necessary if you want to reach the same consistency of cream cheese or sour cream for substitution purposes. 3. After the yogurt has drained, discard whey, cover and refrigerate yogurt cheese until ready to use. Sometimes a little whey will accumulate at the top of the stored yogurt cheese; pour off the excess whey before measuring. Yogurt cheese will usually last up to 2 weeks in a tightly covered container. 4. Generally, 1 cup yogurt yields 1/2 cup yogurt cheese. A 2-pound container of yogurt will yield approximately 13/4 to 2 cups yogurt cheese and an equal amount of whey. The quantities will vary slightly depending on the brand. This creamy soup makes a great vegetarian meal. For fun, hollow out small round loaves of bread and use them as soup bowls. When you are done, eat the bowl! Peel and dice potatoes and place in a large pot. Cut leeks in half lengthwise and wash all grit from between leaves. Cut into small 1/2-inch pieces, place in pot with potatoes and cover with salted water. Bring water to a boil. Reduce heat and cook for about 30 minutes or until potatoes are tender. Add milk, dill, salt, and pepper and cook for 10 minutes. Add yogurt cheese and cook over low heat until heated through. Taste and adjust seasonings; serve immediately. Serves 8-10. Per serving: 375 calories, 12g protein, 82g carbo, 1g fat, NA sodium, 2% calories from fat. It’s easy to fix this low-fat recipe. Serve it either hot or cold-it’s ideal for a picnic. If desired, add more herbs and flavorings to breadcrumbs, such as oregano, basil, garlic and/or onion powder. Preheat oven to 375 degrees. Cover a baking sheet with aluminum foil and spray foil with nonstick cooking spray. Remove skin from chicken breasts and coat each breast with mustard. Sprinkle with salt and pepper. Using a knife, carefully coat breasts thickly with yogurt cheese. Roll in seasoned breadcrumbs. Place pieces on baking sheet a few inches apart. Bake for 20 minutes. Remove from oven and drip a little melted butter over each piece. Return to oven for an additional 25 minutes or until golden brown and tender. Drain on paper towels. Serves 8. Per serving: 327 calories, 45g protein, 15g carbo, 9g fat, NA sodium, 25% calories from fat. This recipe makes a dense New York-style cheesecake that is served without a crust. Preheat oven to 325 degrees. Spray the sides and bottom of a 2-quart soufflé dish with nonstick cooking spray. 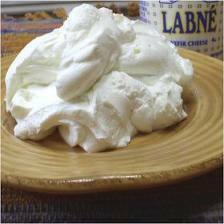 Whip yogurt cheese with sugar, egg whites, lemon juice, lemon peel, vanilla and cake flour; do not overbeat. Pour into prepared dish and set into a large pan of hot water. Bake for 11/2 hours or until cake is browned and cracked. Turn off oven and leave cake in oven for 1 hour longer. Remove cheesecake from water bath and allow to cool in dish on a wire rack for 1 hour. Place serving platter over dish and invert. Chill until ready to serve. Serves 10-12. Per serving: 326 calories, 14g protein, 66g carbo, 1.5g fat, 266mg sodium, 4% calories from fat. If desired, the sauce can be gently warmed and served as an accompaniment instead of baking it over the fish. 12 salmon fillets, 8 oz. ea. Preheat oven to 350 degrees. Spray a shallow baking dish with nonstick cooking spray. In a small saucepan, mix together vinegar, dill weed, pepper, and salt; simmer over medium heat for 5 minutes to reduce. Cool slightly, mix with milk and yogurt cheese and set aside. Place fish fillets in a single layer in baking dish. Bake for 10 minutes. Pour cheese mixture over top and return to oven to bake for an additional 10 to 20 minutes or until fish flakes easily with a fork. Garnish with dill sprigs. Serves 12. Per serving: 297 calories, 51g protein, 4g carbo, 8g fat, 362mg sodium, 24% calories from fat. From Recipes for Yogurt Cheese, by Joanna White. Illustrations by James Balkovek. © 1996 by Bristol Publishing Enterprises, Inc. Excerpted by arrangement with Bristol Publishing Enterprises. $8.95. Available in local bookstores, or call 510-895-4461; outside California, call 800-346-4889. Yogurt is created by the propagation of bacteria cultures. Basically, if you place a tablesppon of yogurt in a glass of milk, the bacteria will reproduce and spread through the milk, and within 6 to 12 hours, transform the milk to yogurt. But yogurt cultures are “fussy” — the milk must be boiled first in order to remove any competing bacteria and then cooled to a lukewarm temperature so that the yogurt bacteria won’t be killed by high heat. You could also use sterile powdered milk, or a combination of the two (boiled and sterile). Pour the milk into a small sauce pan. Prop a candy thermometer inside, and heat to 180 degrees F. Allow the milk to cool to 105 degrees. Stir in the yogurt and pour the mixture into glass jars. Cap the jars and place in a pan of warm water (105 deg to 112 deg) along with the candy thermometer. INCUBATE: Allow the yogurt to incubate for 5 to 6 hours, adding hot water as needed to maintain a consistent water temperature. If the yogurt doesn’t “yog”, either the heat wasn’t consistent or the original boiled milk wasn’t cooled enough. If your luck is really bad, try adding a half tsp of unflavored gelatin dissolved in a small amount of warm water. Put the jars in a box along with a hot-water bottle and pack crumpled newspapers loosely around them. Turn an electric heating pad to its lowest setting and wrap it around the jar. Set the jars in a metal box with a glowing Christmas tree light bulb. Put the jars on the TV set (with the set turned on). Whichever incubation method you use, be sure to check the temperature often. The yogurt is ready when it retains the impression of a spoon pressed into the surface. Remove the jars from the pan and refrigerate for up to 1 week. Fresh fruits, such as blackberries, strawberries, peaches, etc. For low-fat yogurt, or low-fat substitute for sour cream, use low-fat milk. For a richer yogurt, use a mixture of whole milk and cream. It’s usually best to make yogurt before you go to bed, so the cultures can work when they’re least likely to be disturbed. Don’t try to make yogurt and bread on the same day. Yogurt cultures hate competition and yeast in the air seems to make them roll over and go to sleep. New batches should be made every 4-5 days to keep the culture active and the flavor good. Cream butter and yogurt together. Add flour and salt. Let sit in a warm place for 12-24 hours. Add more flour if too sticky.